Switchgrass is a native perennial warm-season grass used as forage for livestock, soil conservation, wildlife habitat, and biofuel feedstock. It is one of seven native species promoted for its value as a forage or cover for wildlife by the Natural Resource Conservation Service. However, switchgrass is often hard to germinate and establishes slowly, which can lead to weed competition and erosion during seedling development. Drs. 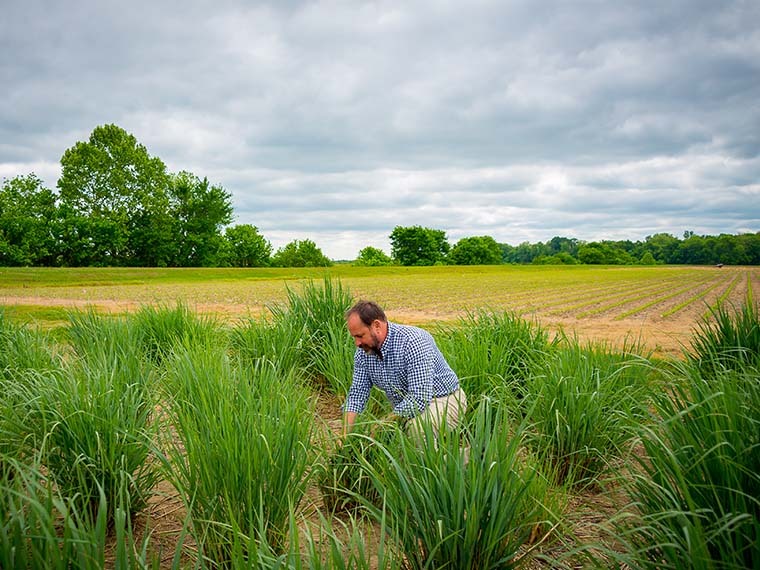 Brian Baldwin and Brett Rushing, scientists in the Mississippi Agricultural and Forestry Experiment Station, developed a new variety of lowland switchgrass named Espresso. 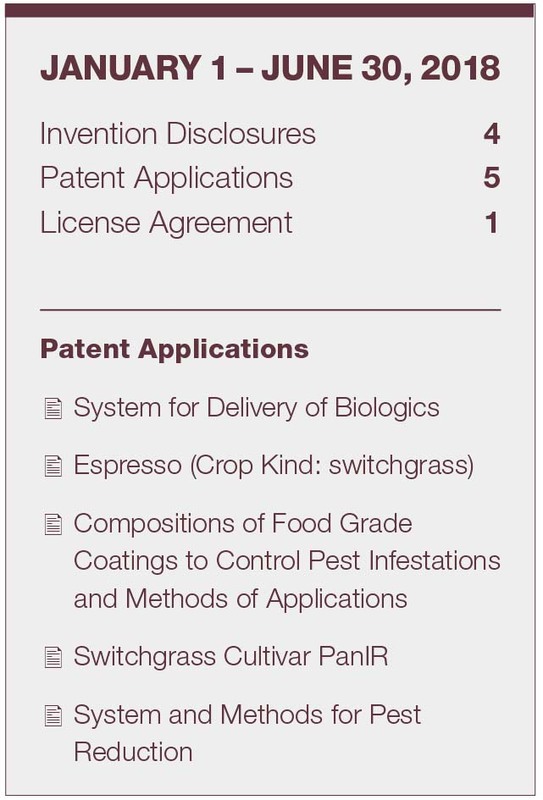 The cultivar is pending Plant Variety Protection from the U.S. Patent and Trademark Office. When developing the native grass cultivar, the scientists selected against seed dormancy. The natural populations of switchgrass produce very high numbers of dormant seed. The initial seed lot of about 200 pounds was obtained from a switchgrass stand at the USDA Jamie L. Whitten Plant Materials Center in Coffeeville, Mississippi. To select a cultivar for low seed dormancy, seeds were spread on wet germination paper, placed in a growth chamber and then scientists waited for germination. Only two tenths of a percent of the seed germinated within the first 28 days. The germinated seedlings were grown to maturity while the others were discarded. It took seven growing cycles to develop the Espresso cultivar. The growth of Espresso led to the development of other native warm-season grasses with low seed dormancy and fast germination rates. Plant variety protection is proceeding for Excelso, an indiangrass; Robusto, an upland switchgrass; Supremo, big bluestem; and Cappuccino, little bluestem; and two others. These native warm-season grasses have a better than 60 percent germination rate, while their native counterparts and other varieties on the market germinate at three to 15 percent. While Baldwin and Rushing are the inventors of the cultivars, they are quick to point out that the research wouldn’t have been possible without the preliminary work of graduate students Keri Denley Jones and Kyle Holmberg.